Dann DeMund is a trial lawyer and mediator with over twenty-five years of legal experience. Mr. DeMund was admitted to the State Bar of California in 1989 and the State Bar of Washington in 1990. He was awarded a Bachelor of Arts degree in Economics from Colorado College in 1986 and a J.D. from the University of California, Davis in 1989. He is admitted to practice law in all courts of the State of California, the United States District Courts for the Northern and Eastern Districts of California, the United States Court of Appeals for the Ninth Circuit, and the United States Supreme Court. 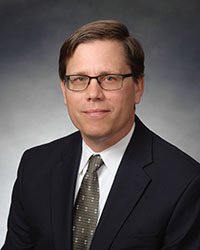 Dann DeMund brings extensive jury trial and binding arbitration success and a depth of experience litigating complex disputes in a variety of areas including business, construction defect, insurance coverage, contract disputes, family law, personal injury, church cases, and general litigation. His clients are involved in a broad array of fields and representative clients include multi-national corporations, real estate developers, general contractors, engineers, insurance carriers, homeowners associations, non-profits, local businesses, and individuals. Dann received 40 hours of mediation and alternative dispute resolution training from University of California, Berkeley, and Advanced Mediation Training from the Rosenberg Mediation Office, and has provided mediation training for the Sacramento Mediation Center. As a mediator, Dann DeMund is quick to evaluate the nuances and complexities of even the most complicated disputes, helping parties arrive at a successful resolution at more than 100 mediations.